When the time comes to build a new home, it’s wise to consider the pros and cons of building a new custom home vs. a project home, as there are advantages and disadvantages to both options. Project home builders have set plans and designs, they generally only allow a small margin for change which is fine if you don’t want to design your own home and are happy to select your home from a brochure. Custom builders work closely with the homeowner and architect making sure they get to know their client and build a strong relationship with them; this helps ensure that the client gets their dream home. 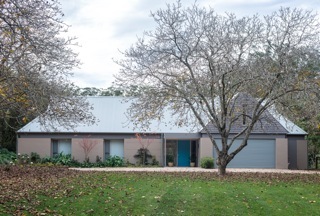 Every site is unique, so working with an architect and builder ensures basic design principles have come into play, such as site orientation (making sure sunlight is entering the house in the right places is crucial, and can make a big difference to your living environment, and expenses). Site slope is often overlooked with a project builder (some have even refused to build on a sloping site), but a custom home builder will rise to the challenge and engage in an engineer to help create a suitable design to work within the land restraints. Another benefit of getting your own plans drawn is that the architect and custom builder allow you to keep copyright of your plans. Most custom builders tend to meet their clients on site throughout the project. This keeps the client involved and makes them feel like a part of the process, it also allows them to see the progress at different stages during construction. You rarely hear of project builders allowing their clients on site during the build. During construction, site managers will put forth ideas they have, whether it be to do with the design functionality, appearance, or just wanting to try something new, this helps give the client some different ideas, it also helps put trust in the client/builder relationship as the client can see that your invested and care about their project and now knows you’ve got their best interests at heart. On a project home site, this would not happen, as they don’t allow for change. Project builders generally have display villages where you can walk through their homes and see the end result, including quality of finishes and the design layout. Although custom builders don’t have display homes, you can view their past work on their website, to get a feel for the quality, and there’s always asking people in your local area about the builders work and reputation. Word of mouth goes a long way. If you still aren’t sold then organize to meet with the builder your hoping to use. That way you can ask all your questions and see what vibe you get from them. No custom builder can compete on price with a project home builder. 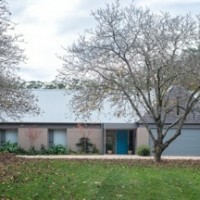 Custom homes will cost more than a project home, however, it is a unique product that has been designed to suit the individual needs and design aspirations of the client. With a custom built home you are paying for your dream home with high quality finishes and a design layout that flows. Custom built homes do take longer to build and involve high quality craftsmanship, which takes time. With a custom builder everything is different to the last house they built. Whereas a project builder will be building the same house as the last one they built down the road. And because they don’t have any intricate detailing involved this helps enable a shorter build time. At the end of the day it’s up to the individual, their budget, and time frame.